The immigration attorneys and staff at the Law Offices of Cindy are knowledgeable professionals in immigration law. We are dedicated to taking care of all your general immigration needs, from deportation defense and adjustment of status to visas and naturalization. Our full-service law firm also provides essential services involving family and criminal law to help you and your family obtain status in the United States. 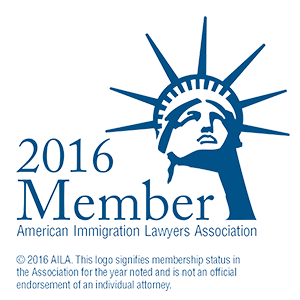 In addition to representing people across the country and overseas, we provide stellar legal representation to immigration clients living in New Jersey and New York. Immigration refers to the process of obtaining legal status in a foreign country. The status may be as a temporary visitor or as a permanent resident, but the ability to enter and remain in another country both fall under the umbrella of “immigration.” Immigration to the United States is monitored by the Department of Homeland Security, an entity that includes the former INS and ICE. The process of obtaining legal status is governed by federal immigration law and depends on many factors, including a person’s country of origin, manner of entry, and whether any crimes would preclude the alien’s right to relief. Immigration applications appear to be simple forms downloadable for free on the internet. This area of law is also rife with traps. Unsuspecting immigrants often pay substantial sums of money to unlicensed “notaries” who prey on their vulnerability and submit fraudulent applications on their behalf. Signing your name to these forms can have disastrous consequences later on. One misstep could even bar your right to future relief. It is important that applicants retain a qualified professional who can fight for their rights and prevent future issues that could result in removal. An experienced attorney can explain the forms of relief for which you are eligible and get your application right the first time. A lawyer is also crucial to defending your rights in interviews with immigration officials and in hearings before an immigration judge. Whether you are interviewing for relief from removal, adjustment of status, or naturalization, it is imperative to be represented by a licensed professional who will protect your rights. At immigration proceedings in court, judges not only suggest, but insist that immigrants obtain a lawyer first. If you or your family requires assistance obtaining status in the United States, our experienced immigration lawyers can help. We have successfully handled numerous cases involving visas, deportation defense, and motions to reopen before federal and appellate courts. Our full-service firm can also provide solutions to family and criminal law issues that could complicate your path to citizenship. Whether you need assistance adopting a foreign child or obtaining a divorce that is recognized in the United States, we are here to help. At the Law Offices of Cindy, we are dedicated to finding creative solutions to your immigration needs, and providing you with unparalleled service.